The LED Mapping Tournament is a large scale intelligent Led Installation designed specially for VJ’s and video/pixel mappers. 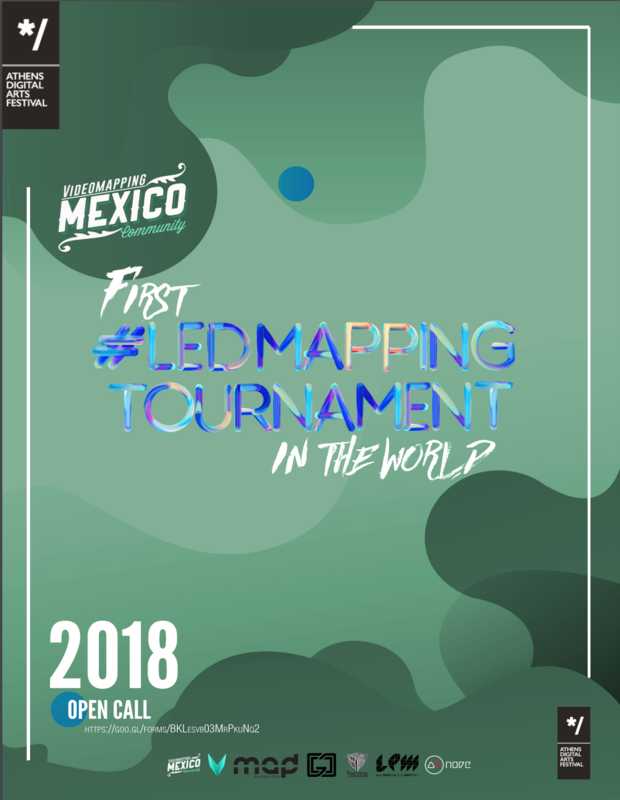 This is the FIRST LED Mapping Tournament in the world and its coproduced by Video Mapping Mexico Community – LPM – GarageCube and MadMapper Its an International call for VJ’s, mapping artists and Live Performers. The installation will be based on the LED’s by GarageCube Technology and mapped with MadMapper 3. Always wanted to be a LED Mapper and perform live sessions??? This is your opportunity. Free inscription, the winner will travel all expenses paid to the next LED Mapping Tournament in Mexico 2018. Video Mapping Mexico Community ιs a fast growing community of digital artist from Mexico that aims to be present all places digital arts is taken seriously and providing a platform that open the way for exchange and demonstration of skills between artist from all over the world. The community is non profitable and targets toward the recognition, professionalisation and promotion of Mexican talents on an international level. In collaboration with LPM they have initiated the annual VJ Mapping Tournament and Live Mapping Contest that takes place on both parties events and prizes the winner with exchange travels to participate on the next tournament. For this event Video Mapping Mexico Community LPM, το Garagecube, και το MadMapper look into the creation of the first tournament in its field worldwide, creating a large scale installation where VJ’s can show Live their techniques and artistic skills. The winner will travel in Mexico for the next LED Mapping Tournament.